Over 30 years a CSIRO team carried out their ground breaking studies tin Cooloola that has helped our understanding of so much of the complexities of this part of the Great Sandy Region. They helped unravel and understand the chronosequences of dune systems. A team of scientists mainly from University of Queensland led Prof Jamie Schulmeister is about to embark on a multidisciplinary study of Fraser Island that rivals that of the CSIRO Cooloola dune studies in breadth and scope. Prof Jamie Schulmeister’s asks the key question “Is the answer blowing in the wind? — Towards an environmental history of the Fraser Island /K’Gari dune fields’. There will be discussions on climate change and fire. Core sampling in the fens has revealed “evidence of significant environmental change, possibly associated with human arrival, between 40,000 to 35,000 years ago” and other changes indicating different climate regimes of the past. 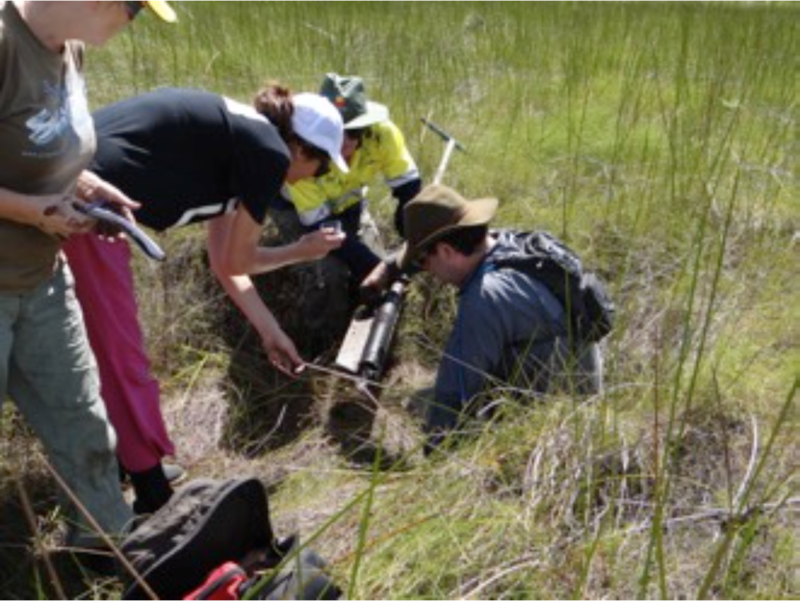 In November 2013 FIDO was privileged to assist in a detailed study of the Puthoo Fens near Moon Point. Dr Patrick Moss has titled his paper Moon Point Mires – A 40,000 year window into the Fraser Island environment. Two papers arise from work in the fens. Another presentation deals with Fire Patterns of the Great Sandy Region.